The music ministers support and lead the entire assembly in the sung parts of liturgies, as well as offering unique contributions as a choir, cantor or instrumentalist. 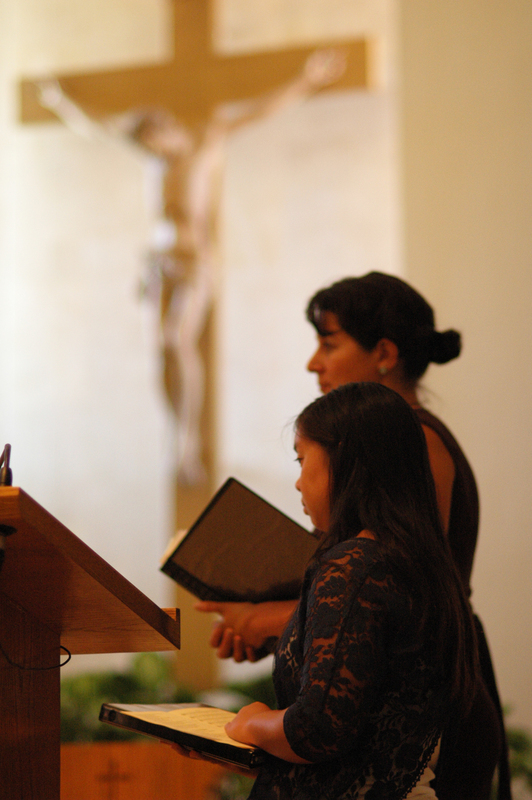 Our parish choir is a dedicated and welcoming group of people from high school age and up. The repertoire includes quality music from many centuries and of various styles, and the choir ministers at the 10:30 am Sunday liturgy plus the extra-ordinary liturgies. 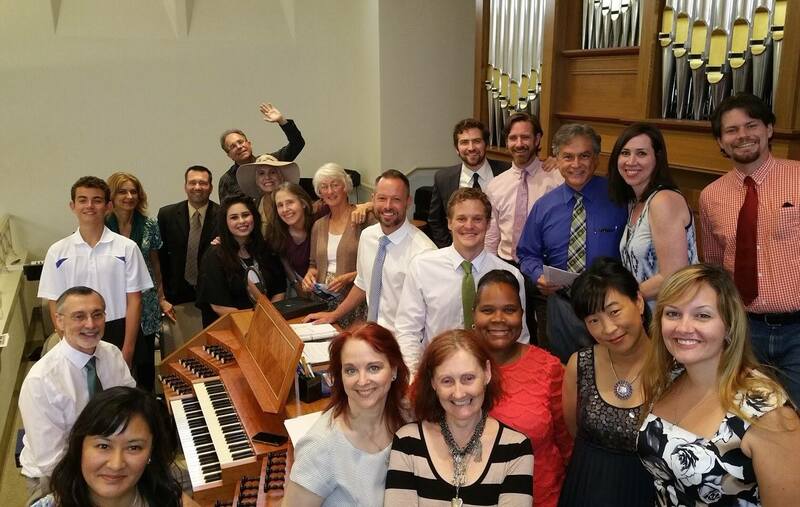 The choir rehearses Thursday nights, and recordings of individual parts are made available to use for home practice. In addition, student cantors of Jr. High and High School age are involved in liturgies, usually one a month. During November of 2008, installation of our new pipe organ began. Though physically installed, the voicing was done during the month of January 2009. For more details and photos of the organ, see the page about the organ. Our Music Director, Mr. Terry Hicks, is a native of upstate New York and lived in Chicago for many years before coming to Good Shepherd. His preparatory studies were done at the Eastman School of Music, and he received a Bachelor degree in organ studies from the Oberlin College Conservatory of Music and a Masters degree from Northwestern University's School of Music. Since 1973, he has ministered in Episcopal, Lutheran, and Roman Catholic parishes. If you are interested in exploring opportunities of musical ministry at Good Shepherd, contact Terry Hicks at GSMusicMinistry@aol.com or call him at (310) 285-5425, Extension 125.